I love candles! More so, I love burning heavily scented candles In every room. Purchasing them, retail, can become very expensive, so I’m sure to keep inventory In my house, which allows me the pleasure of making as many as I need whenever I choose, as well, as sell them at my online store, and you can too! First, you will need to line your workspace or countertop with paper. The glue, waxes and oils can get very messy. Next, you will need to plug in your glue gun, insert your glue stick into the gun and wait a couple of seconds for it to warm. Squeeze a small amount of the heated glue onto the tip of the wick string, which looks like a metal plate, or, for the wood wicks, the metal plate does not have a string. The stick of wood can be easily snapped into the metal plate. The sticky application of the glue to your jar dries instantly, so work fast! Now, to slowly heat my soy wax, I use a soap kettle which looks very much like a crock pot. Once I have the wax melted, I mix in my fragrance oils, carefully. I’m very generous with my oils because I like my candles heavily scented, but if your going to sell them, stirring in too much oil can cause your candles to bleed, this can become a mess if you’ve colored your candles, so be careful. After I have poured my wax and oils into my jars, then, I snap on my wick holders to keep the string wicks in place. The wood wicks are easy, they stand alone. Drying time can take at least 8 to 12 hours but at least your atmosphere will smell great while waiting! This is a messy process but still so beautiful at the same time. Making candles can be very healing, spiritually. Lastly, adding labels are the fun part, however, I usually don’t add labels if I’m making them for myself. The ones you see pictured here are mine, LOL! I Made quite a few of the Between The Sheets, scents from Good Scents Oils, for my house. I have five bedrooms, three bathrooms, a great room, a foyer, a kitchen and a living room, two hall ways and a full basement that I make candles for so this project works well for me, rather than purchasing them retail. I burn candles and incense, religiously! 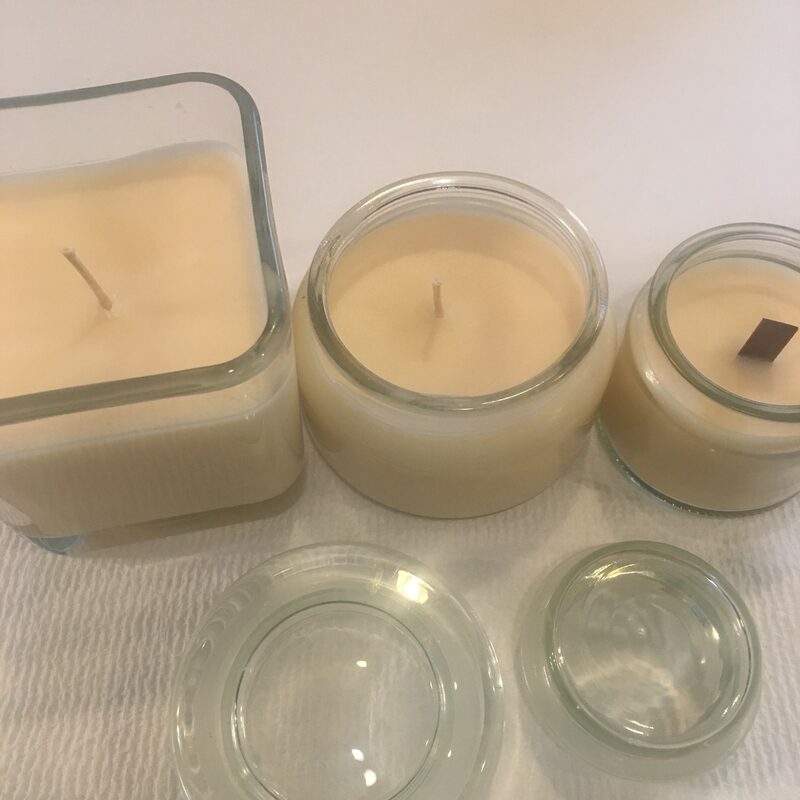 I hope this blog inspires you to be creative enough to make your own candles. If you’d rather buy them instead, be sure to check www.goodscentsoils.com regularly, to see if I have my handmade candles stocked there for purchase. I hope you enjoyed this reading, Inspire others by sharing this post.